VERY FILIPINA - I Blog, Therefore I Am. 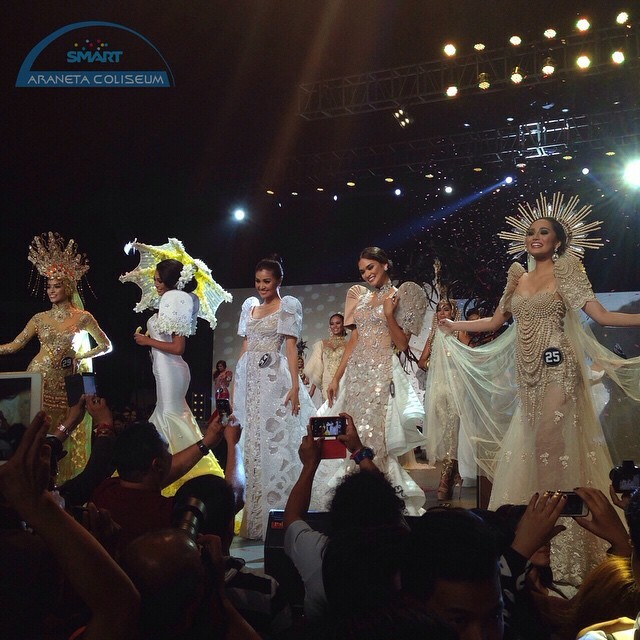 The National Costume show of Binibining Pilipinas is one of my favorite pre-pageant activities. 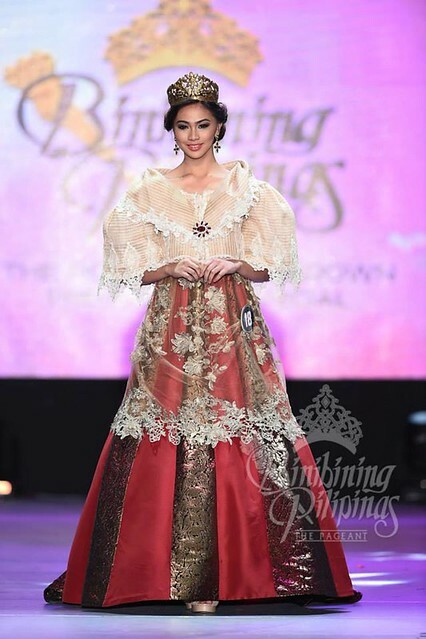 I love the Filipiniana gown and it's always interesting to see how designers interpret it to make it modern and creative. 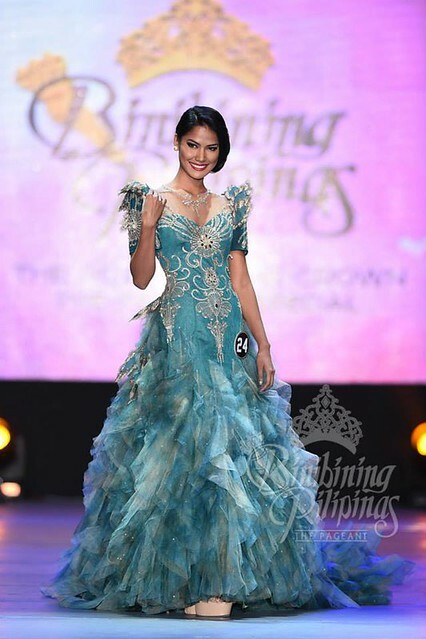 I simply love how the lace meshed with each other on this modern terno. The mermaid design is very usual but the over-all fit and look is really good. The head accessory is also a very nice touch. Classic, gorgeous, and in a nice color in capiz! A nice interpretation and a stand-out among the ternos and Maria Claras. Very modern and a little edgy. Nice play of black and white (even if it's very Gatsby). A nice and modern take on the Maria Claria. The blue hue is also superb. The splash of the blue green color amidst white and beige is a welcome. I love the ruffled skirt as well. Look at all those pearls! Just wow! This is very pristine and Janicel looks very delicate on it. She looks very prim and proper - like how a Filipina should be. 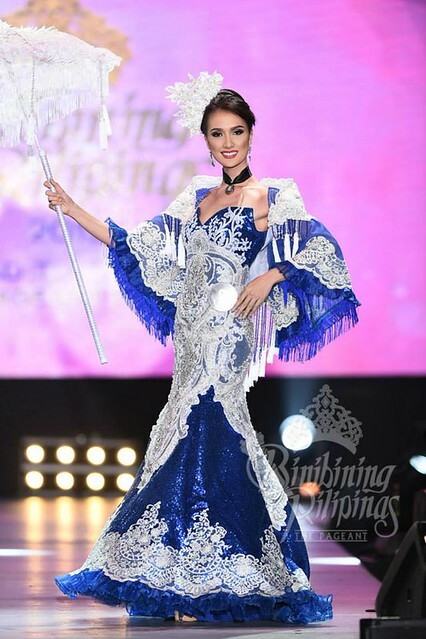 This is also very special because its the last gown that Leo Almodal designed for pageants. It's just ironic that the skirt reminds me of MJ's Miss Universe's Evening Gown. Take me back to the 1800s! This Maria Clara is spot on! 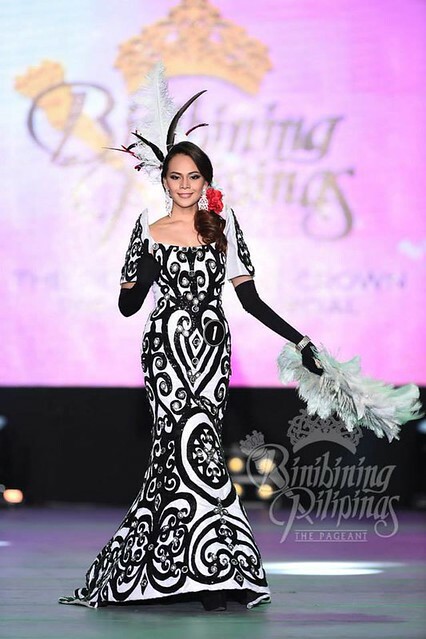 This is another stand-out amidst the traditional gowns. I like this one since it deviated from the norm. Plus - I love the shoes! I noticed that they are all wearing the same pair. I saw a pair in Zalora that looks like it. BPCI probably got it there since Zalora Marketplace offers a wide range of high heels for every occasion that would definitely fit what every Binibini needs. I remember in the past years when the candidates used to wear different clunky high heeled shoes in various iterations. It was not pleasant to look at! Yey for uniformity! 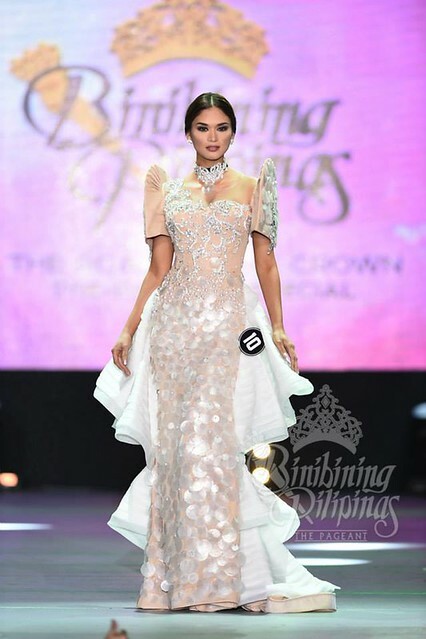 The Top 5 Binibining Pilipinas National Costumes went to #10 Pia Wurtzbach, #25 Rogelie Catacutan, #27 Ina Dominica Guerrero, #29 Nancy Lee Leonard, and #34 Teresita Sen Marquez. The best among the 5 will be announced at the Coronation Night. I bet that it will either go to Wyn Wyn or Rogelie. 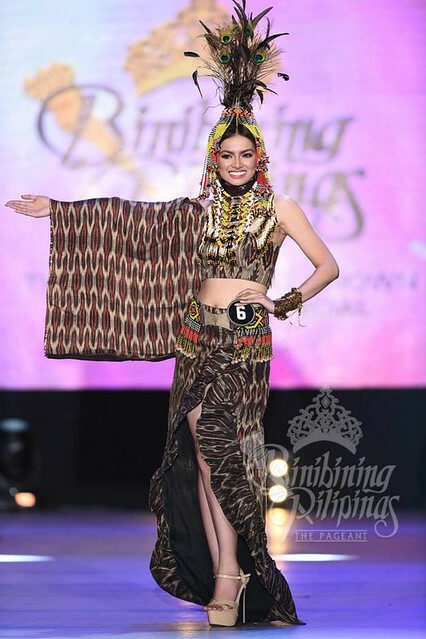 The National Costume Show of Binibining Pilipinas was held last February 26 at the Binibining Pilipinas Fashion Show at Smart Araneta Coliseum. The Finals is going to be on March 15, 2015.